Elektro Ljubljana operates and manages the largest energy distribution network in Slovenia, and is also the owner of the electric power infrastructure. At home, at work, or even when we’re outside, these days electricity is an indispensable resource that all users rely on. Elektro Ljubljana accordingly offers you a broad range of solutions, provided with the very best in professionalism. Since users are always our number one priority, we never stop providing all information necessary. Knowledge, experience, and constant R&D help us ensure a sustainable distribution system for safe, reliable, and high-quality electric energy supply. The core values at Elektro Ljubljana are learning, dialogue, and excellence. We hold them in the highest respect and they make up the essential philosophy that drives us towards success and establishing united goals. We ensure that they are reflected in the systematic and responsible work being done in human resources, therefore it brought us great pleasure and additional drive when we were chosen as The Acclaimed Employer in the Electric Industry and Energetics in 2013. We continue on working in accordance with the full Family Friendly Enterprise certificate, respecting the positive labor legislation, maintaining high levels of empathy for our employees, and continuing to enjoy our collaboration with educational institutions in the electric industry. We prove our social responsibility by supporting students and offering them practical training as well. In accordance with our human resources strategy we strive for the rejuvenation of our core activity as well as fieldwork. We offer internships and workplace trainings with mentorship, allowing new employees to see and try working in several areas. At the start of their career everybody is trained to one day become independent and confident in their line of work, so their career path can lead them higher and higher. Our climbing team at the 22nd Sports Tournament, where they scored first place among electricity distributing companies for the second time. There were 841 employees at Elektro Ljubljana at the end of 2017, with an average age of 44. 86% of employees were men, leaving 14% woman. In terms of education 23% of our employees have less than secondary education, 36% have secondary education, 19 % have higher education, and 19% postgraduate education. The company’s success is the result of everybody's invested energy and effort, which is why we pay a lot of attention to strategic planning and staff development. Every year a human resources plan for the forthcoming three years is made. Employee development is our priority, therefore we encourage our colleagues to reinforce their skills and become more efficient. The mission of employee development is to discover each individual's competencies and ensure their growth in accordance with personal and company goals. 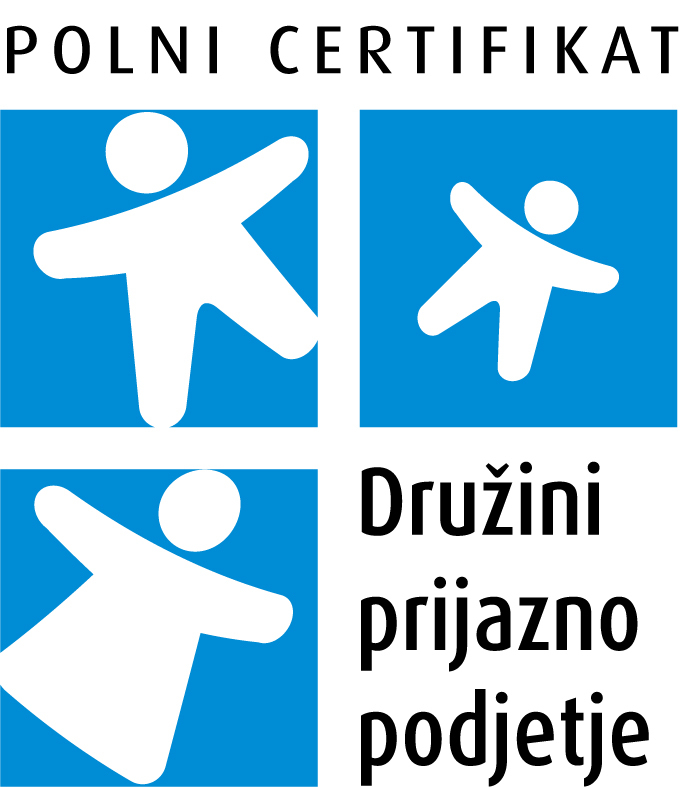 Elektro Ljubljana received the basic Family Friendly Enterprise Certificate in 2009, the full certificate in 2012, and successfully passed the review and evaluation of a full Family Friendly Enterprise Certificate in 2015. During this period we implemented several measures for easier coordination of professional and personal life. We dedicated a team to the topic in order to keep spreading and upgrading the measures. We also take actions to promote health at the workplace every year. Employees have the possibility of utilizing our vacation premises, where they can spend holidays with their family. In the autumn we organize a traditional Company Day, filled with cultural and sport activities and a special competition in pole climbing among our distribution units. In accordance with the Labour Market Regulation Act, which states that companies under majority state ownership are obliged to publish a call for tender through the Employment Service of Slovenia, you can find the jobs we are offering on their page, in addition to ours. We invite you to follow us for free positions. Elektro Ljubljana is aware of the importance of systematically approaching young people. Therefore we have developed a strong collaboration with high schools and colleges with electrical engineering programs, resulting in the assurance of our long-term development. We have continued in this manner, providing practical training for a growing number of students that will be the future of the company. We offer student work for students. You can send your application and CV for practical training through work and student work to kadrovska.sluzba@elektro-ljubljana.si. © 2011-2017 Elektro Ljubljana d.d. All rights reserved.